Today’s tip comes to you courtesy of Sara Lawson, author of popular sewing blog Sew Sweetness, and a very talented Pellon Projects™ Designer. Thanks so much Sara!! Hey everyone! I looked at my iron this morning and it seriously looked like it was caked in mud. I’d say about a 1/4 of it was brown. Yuck. Who wants to use something like that to iron your gorgeous fabrics and prized projects? I had to do something! I came up with a great solution and thought it’d be worth sharing with all of you. — Add equal parts baking soda and salt to water to form a paste. — Apply the paste to a damp washcloth and use it to scrub your iron. The baking soda provides cleaning powers while the salt serves as what you might call an exfolient for your iron;). — Create a vinegar/water solution and use it to clean the plate. This helps to remove any baking soda that got caked into the little holes in your iron plate. — Use a magic eraser to polish the plate and make it look shiny again. — Stand back and admire! Your iron should look as good as new! Planning to give this one a try? We’d love to see your before and after shots! Send them to erin @ pellon. What Product Do You Recommend for a T-Shirt Quilt? This is a question that has come across our desk more than a few times. T-shirt quilts seem to be rising in popularity and with good reason. They are an excellent way to preserve memories, while finding new uses for old and well-loved tees. We fully understand that creating a t-shirt quilt can often be a delicate process. The t-shirts are precious and you want to make sure that it’s done right the first time! We shot the question out to our interfacing expert to grab the best info for you. Like many other questions, this one does not have only one answer. 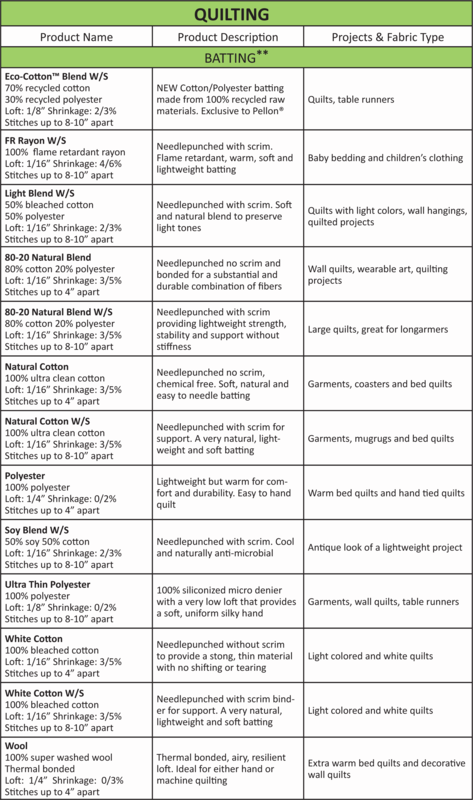 Pellon® 820 Quilter’s Grid™ and 821 Quilter’s Grid™ On-Point are natural choices for constructing a T-Shirt quilt. The interfacing has grid lines that help with layout and construction and is often preferred by beginners. 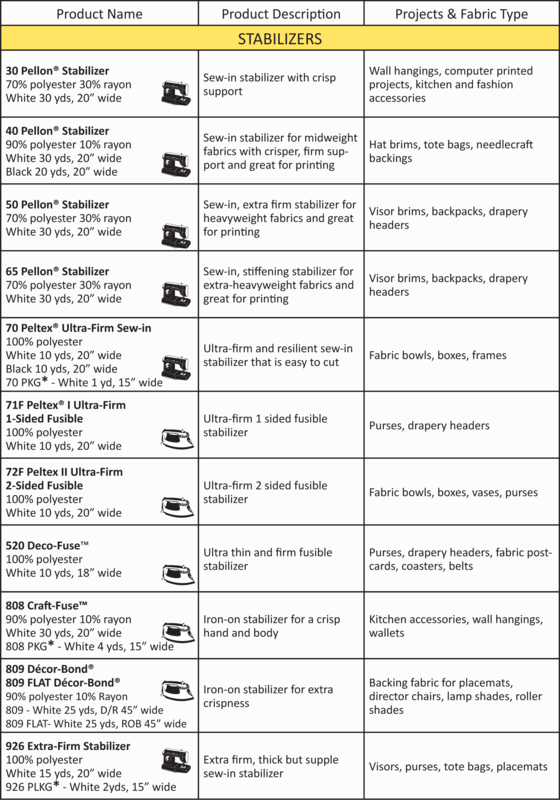 Traditional apparel products such as 906F Pellon® Fusible Sheerweight, 911FF Pellon® Fusible Featherweight and 931TD Pellon® Fusible Midweight are also excellent choices. Those who prefer a lighter hand will opt for the 906F while those who favor a more supple feel will select the 931T. Keep in mind that all three of these products have some stretch in them, so if your goal is complete stability, they might not be the right choice for you. 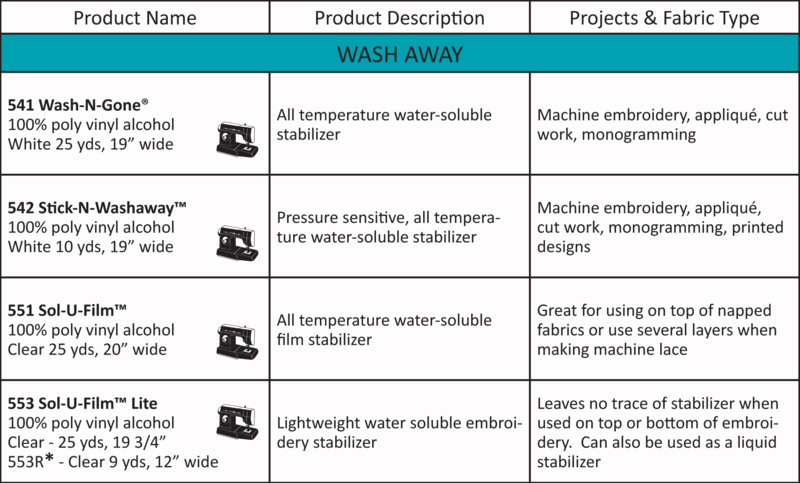 For a more stable option, the Pellon® 950F ShirTailor® Fusible is the way to go. It was originally intended for shirt collars and cuffs, but many appreciate the firmness and stability that it gives to a T-Shirt quilt. Looking to make your very own T-Shirt quilt, but not quite sure where to start? Check out our handy tutorial, courtesy of Nancy Wygle, right here on our website. This is actually a Wednesday tip, masquerading as a Tuesday tip;). But, aren’t tips great any day of the week? As always, this wisdom is courtesy of our interfacing expert — you know, the one who knows everything that there is to know about interfacing? Yep. She’s awesome. Have a question for her? Ask it! Just click here. 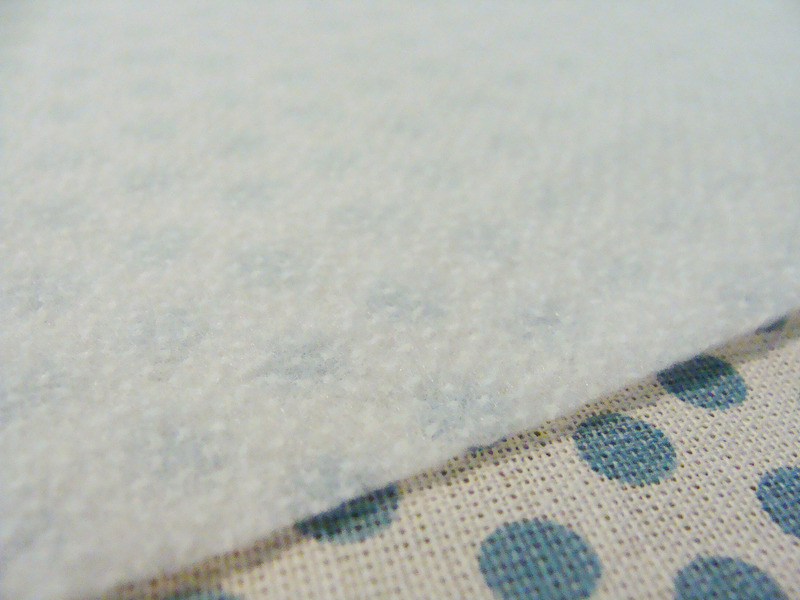 Have you ever wondered which side of the interfacing is the fusible side? We get it… you’re somewhat new to interfacing (I was, too!!) and it’s confusing. Rather than play the guessing game and risk fusing your interfacing to your ironing board in place of the fabric, take a peek at our helpful hints. 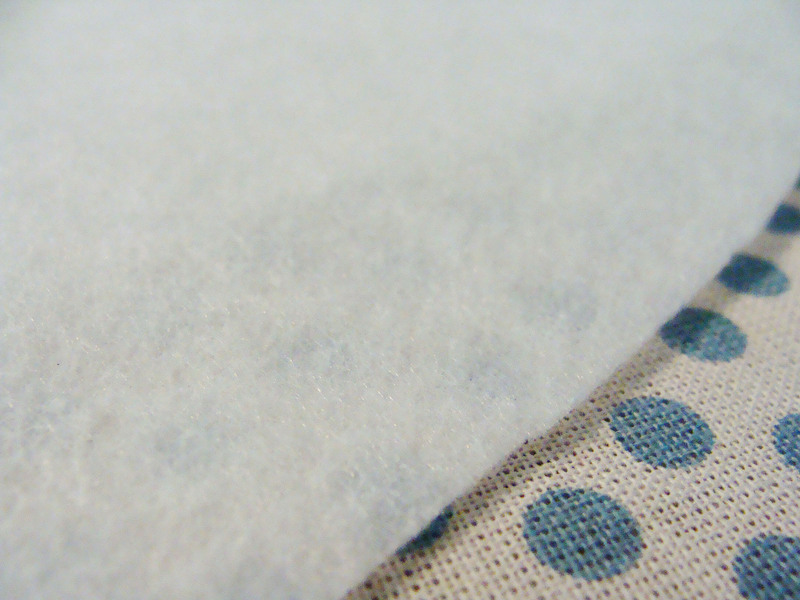 1 — Generally speaking, the fusible side is usually the rough or shiny side of the interfacing. 2 — Most Pellon® fusibles have an adhesive dot on them. While a little difficult to see on the white products, you can normally feel them. Run your fingers over both sides of the interfacing. The side that feels a little rough, or raised, is the fusible side. 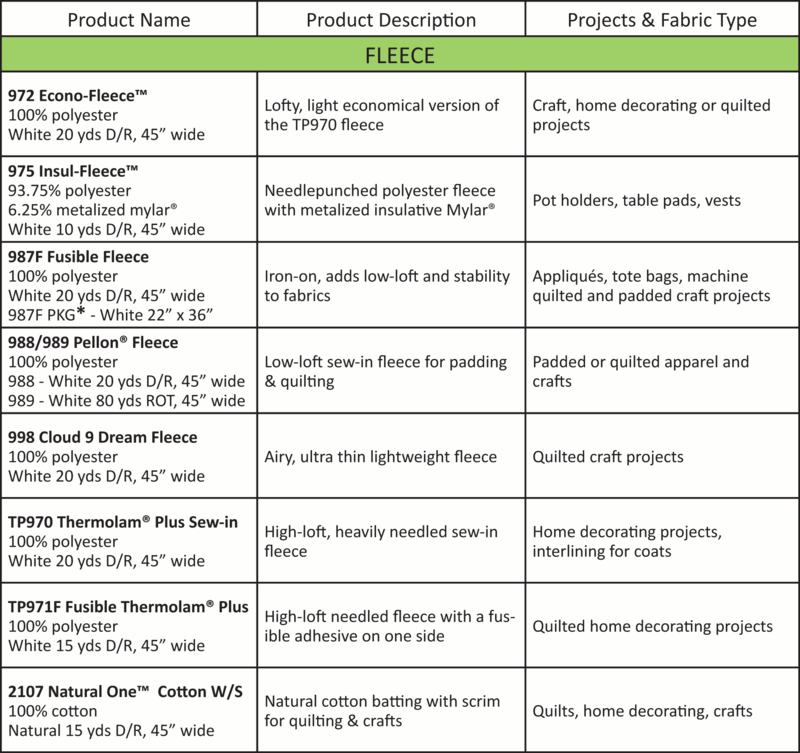 ex: 987F Fusible Fleece has a pronounced fusible side. The image on the left is the non-fusible side. The image on the right shows the fusible side. Note the little ‘dots’ that are clearly visible! 3 — There are a few products — ES114 Easy-Shaper® & 80 Craft-Fuse® — that have a spray adhesive rather than an adhesive dot. In these cases, the fusible side will appear shiny, rather than feeling rough or bumpy. If in doubt, cut a small piece of the interfacing and fuse it in between two layers of fabric or even a paper towel. This will help to confirm which side is fusible. 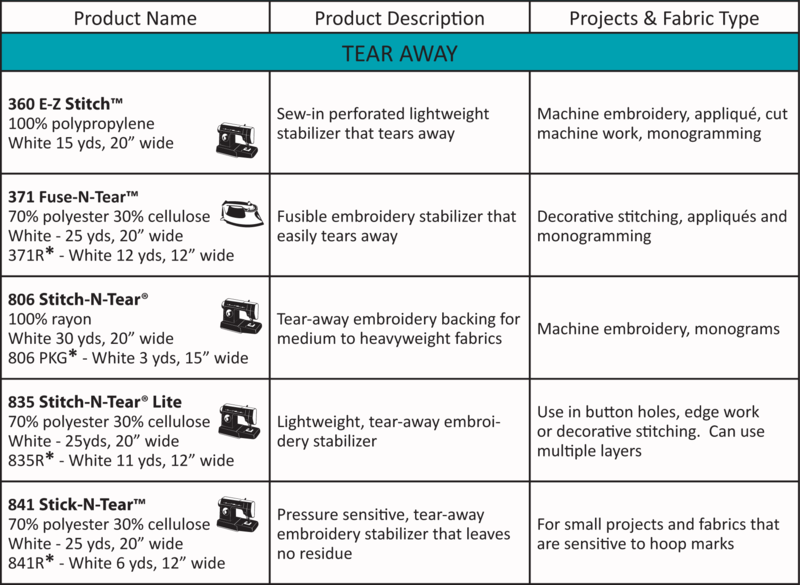 4 — A notable exception is the new Fuse-N-Tear™ Embroidery Backing. For this product, the fusible side is the smooth side. 5 —If, after reading everything above, you still have doubts, email us for a helping hand!